And that makes complete sense if you think about it… because Startups tend to succeed loudly/publicly and tend to fail silently/privately — particularly Early Stage / Idea Stage. Think about it — every successful startup will go on to have hundreds or thousands of employees… each of those employees has family and friends that are hearing about the success of the startup, the cool company outings, etc. 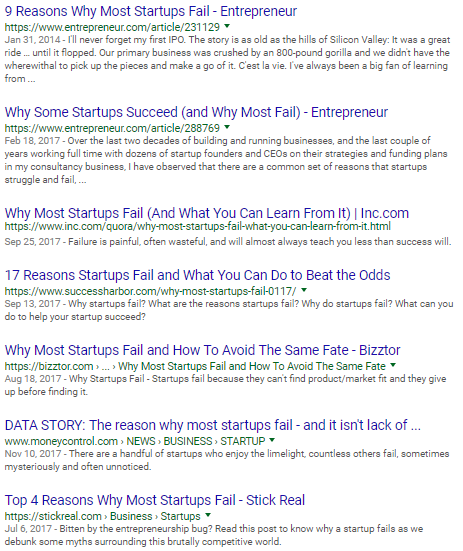 Many of those successful startups will be written up in Forbes or Inc or Entrepreneur (or local stuff like the Atlanta Business Chronicle) and/or their founders will be speaking at conferences or as a podcast guest or… the point is, that THOUSANDS and THOUSANDS of people hear about the success stories of the 1%. While the (failing) founders from the 2-person, 3-person, 5-person startups will each generally confide in a few of their closest friends — about the problems, the struggles, the failure, the depression, etc. 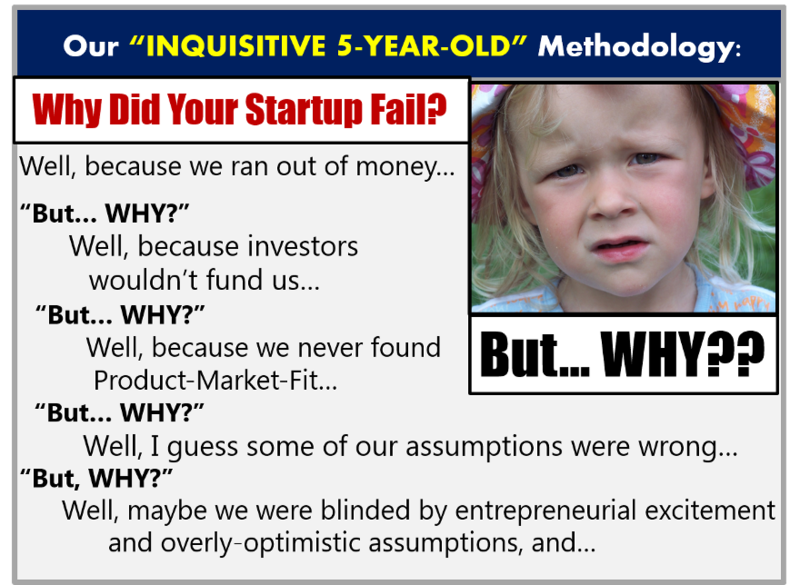 *** I also don’t think people drill down deep enough when discussing WHY so many startups fail… and what the most common causes are — on both a micro- and macro-level. For some reason, I have become fascinated by this topic! But, no; I actually took the exact opposite approach. I did the “But, WHY?” routine that my inquisitive 5-year-old niece taught me. And, honestly, it’s pretty damn effective! Mostly inside my own head (so as not to be the most annoying person on the planet to everyone I interact with), I estimate that I have asked “But… WHY?? ?” approximately 50,000 TIMES in the last 10 years!